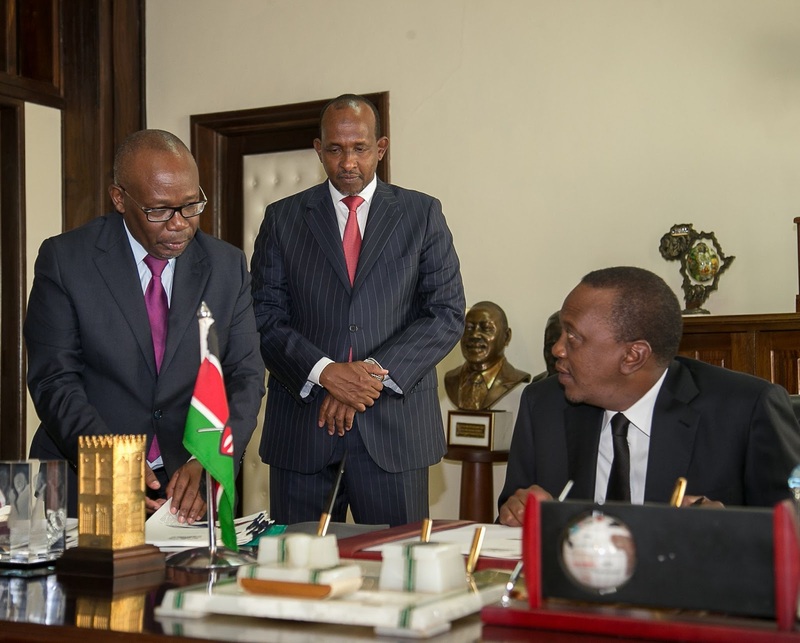 No torture, President Uhuru Kenyatta signs and assents the Anti-torture to law. - Bana Kenya News, Real African Network Tubanane. Home Nairobi No torture, President Uhuru Kenyatta signs and assents the Anti-torture to law. No torture, President Uhuru Kenyatta signs and assents the Anti-torture to law. The president today has assented to anti-torture law. The law will provide several aspects in the Kenya justice and security commissions, which will provide human intellectual and intervention in any criminal case. We had torture cases in the previous government and this act will give the security authorities to exercise human capacity. President Uhuru Kenyatta today assented to a law that gives effect to provisions of the Constitution of Kenya that guarantee freedom from torture, cruelty and punishment. The new law outlines the principles of the Convention Against Torture and other Cruel, Inhuman or Degrading Treatment or Punishment. The legislation provides for reparations to victims of torture and cruel, inhuman or degrading treatment. The new law also empowers the Kenya National Commission on Human Rights (KNCHR) to investigate alleged violations of the Act. The Act empowers the KNCHR to monitor compliance by the State with international treaty obligations relating to torture and inhuman treatment. The KNCHR also gets the role to advise Government, liaise with public entities and work with enforcement agencies on matters relating to torture. The President also signed into law, the Statute Law (Miscellaneous Amendments) Bill 2016, to make amendments to existing laws. The Judicature Act was amended to include a provision to provide for the retirement age of judges as seventy years. The amendments also reinstate vacation for judges and also deal with retirement benefits for the Chief Justice and Deputy Chief Justice. The law on retirement will address the issue of benefits for the immediate former CJ and DCJ. Also amended is the National Police Service Act to include a provision that gives the Head of State the powers to appoint a suitable officer to act in case the office of the Deputy Inspector General of Police is vacant. The Refugees Act 2006, (No 13 of 2006) was amended to place the administration of refugees under the Refugees Secretariat while the Persons with Disabilities Act 2003 (No 14 0f 2003) was amended to streamline membership of the Board. The president also will have a room of providing his thoughts in the matters of security and appoint qualified people in several security departments. The bill will assist IPOA, NCIC and KNCHR in providing support to the injustices.